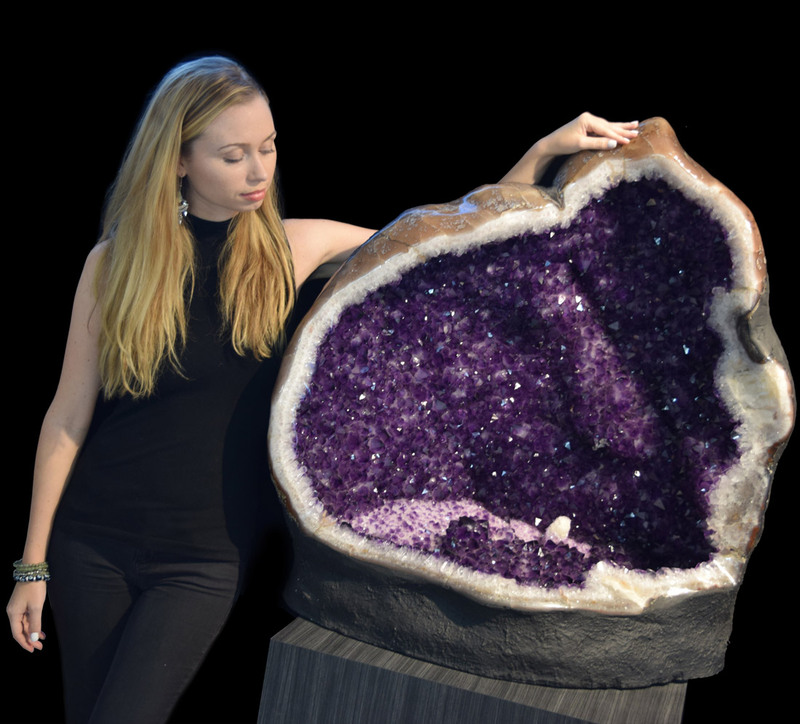 This nearly 3 foot tall amethyst geode cave was found near the Uruguayan city of Artigas. 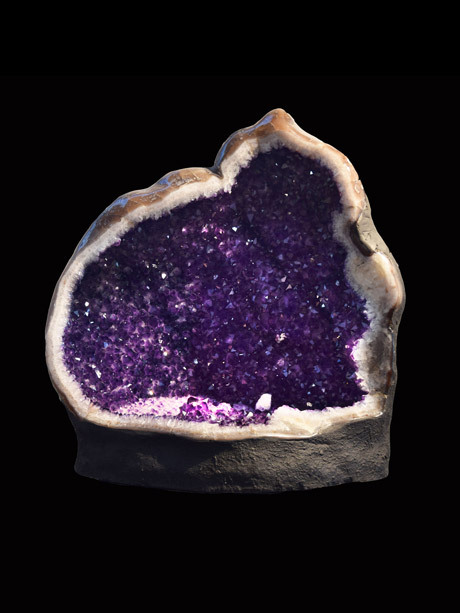 With a calcite point in the bottom of piece, almost at the end of what appears to be a river of crystal, this piece, with its deep purple arch and a floor that contains white crystals with purple points, is a truly unique conversation piece. In addition, the outer rim of the piece is polished agate, adding to the singular quality of this piece. 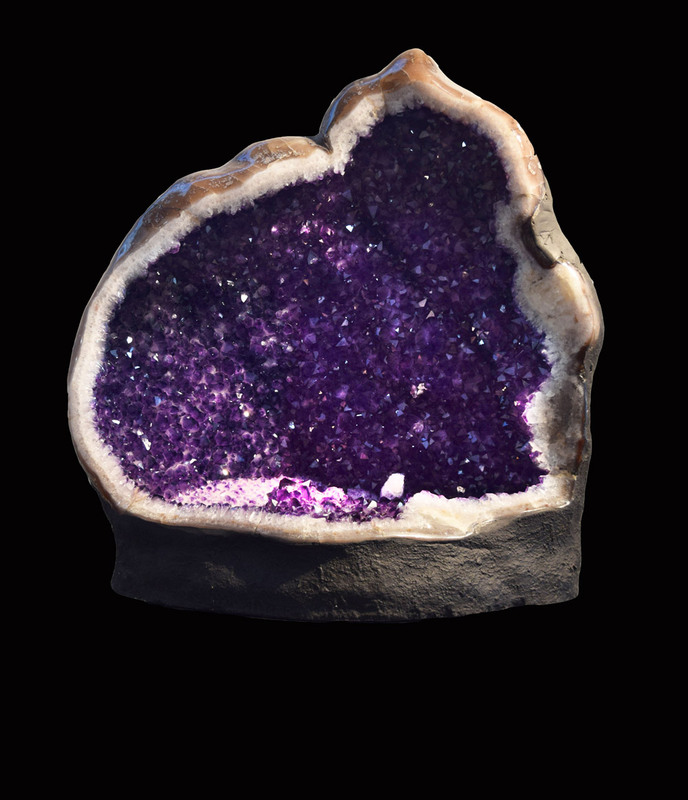 The combination of amethyst, calcite and agate in a single piece creates the rare blending of the peaceful energy of amethyst, the clearing, cleansing energy of calcite, and the stabilizing, strengthening, protective energy of agate. 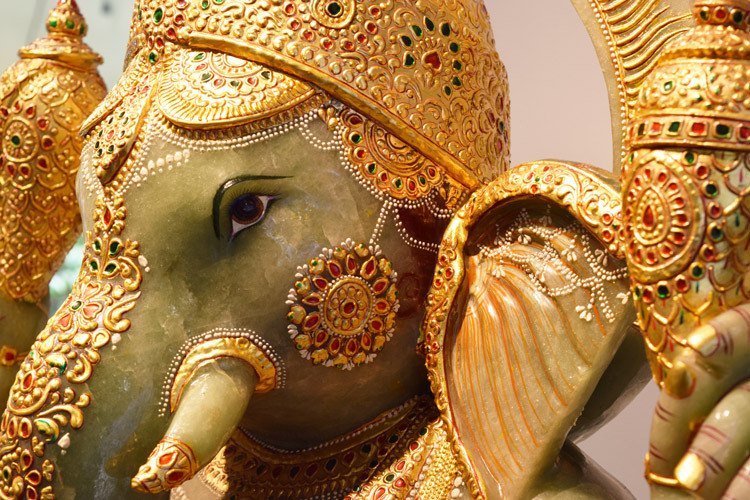 This is a truly powerful (not to mention beautiful!) piece.